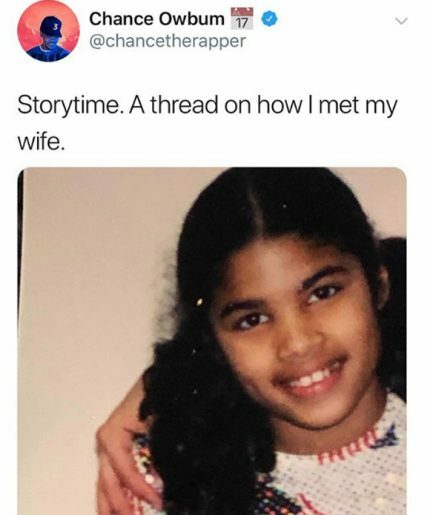 Chance the Rapper took to social media on Wednesday night to reveal that he and his childhood sweetheart, Kirsten Corley, are finally getting married this weekend. To celebrate, the 25-year-old shared the adorable story of how they first met when he was just 9 years old. Not, THE Destiny’s Child, of course. Sometimes, you gotta play the long game!